Warranty Information - SIRUI Optical Co., Ltd.
SIRUI USA strongly recommends that you only purchase SIRUI products from authorized SIRUI USA dealers. As the exclusive distributor of SIRUI products, SIRUI USA guarantees that all products are new, complete and have a full warranty. SIRUI products purchased from unauthorized dealers will not receive the 6-year USA warranty, technical support, service or parts and will be ineligible for rebates and special promotions. You can see the full list of authorized SIRUI USA dealers here. Thank you for your purchase of SIRUI USA, LLC professional products! SIRUI USA, LLC warrants that your purchase is free from defects in materials and workmanship, under normal use during the Limited Warranty period. The warranty period starts on the original date of purchase on your sales receipt. If service is required, please include a copy of the bill of sale and SIRUI USA, LLC warranty card, with an explanation of the problem. Please store your bill of sale and warranty card in a safe location. Please review below Notice. 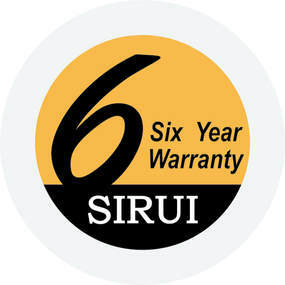 SIRUI USA, LLC Limited Warranties - 6 years for tripods, monopods, heads and accessories; 6 years for Humidity Cabinets (3 years for electronics); 6 years for bags, 1 year for mobile accessories and lenses - are limited to the repair, adjustment and/or replacement (at SIRUI USA, LLC or its authorized distributor's option) of defective parts, free of charge (except the cost of shipping to the distributor/service center). Responsibility is limited to actual cost of item. Prior to sending in a product for repair, please email SIRUI USA, LLC with questions or problems. For warranty service, all shipping and insurance charges must be prepaid. Include a copy of the sales receipt and an explanation of the problem. The product or defective part(s) may be sent through a local authorized SIRUI USA, LLC dealer or directly to SIRUI USA, LLC at 29 Commerce Court, Verona, NJ 07044. (Info@sirui.com). SIRUI USA, LLC will not be responsible for expenses, inconveniences, or consequential damages to equipment, or by breach of any expressed or implied warranty. Out-of-warranty repairs - An estimate (including shipping costs) will be provided by SIRUI USA, LLC and repairs will begin once the estimate is approved and payment is received. A return shipping fee will be charged for refused estimates. 1) If the equipment has been serviced by other than an authorized SIRUI USA, LLC distributor or service center. 2) Damage to the equipment due to modification (including, but not limited to, the removal of ballhead clamps), overloading, mishandling, abuse, accident, sand*, corrosives, water damage* or not following operating instructions. 3) No valid proof of purchase is provided. 4) Damage caused by acts of nature (including, but, not limited to fires, floods or earthquakes). Attention: Please do not send any products to the above address until you have spoken with someone from our technical support team. NOTICE: Please be advised that SIRUI USA, LLC’s 6-Year warranty is valid only on products purchased from local Authorized SIRUI USA, LLC dealers (Please contact us before you buy if the dealer you are considering is not on our SIRUI USA, LLC Authorized Dealers list). For products purchased in the United States, but used outside of the country, the warranty only covers service within the United States and does not include shipping outside of the United States. 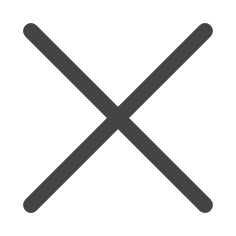 SIRUI USA, LLC does not provide support of any kind for SIRUI products purchased from unauthorized SIRUI USA, LLC resellers - this policy will be followed without exception. If you buy a SIRUI product from an unauthorized dealer via FBA (Fulfilled By Amazon) or other in-store or online dealers/sellers, you will not receive U.S. repairs, parts or technical support. This policy also applies for online purchases made through re-sellers outside of the United States (i.e. – shipped from Europe, Japan, China, etc.). Note: Local law may provide different rights and you may be covered by consumer protection laws or regulations in the state of purchase or, if different, your state of residence, and the benefits conferred by SIRUI USA LLC’s Limited Warranty are in addition to all rights and remedies conveyed by such consumer protection laws and regulations, including but not limited to these additional rights.